Would you know what to do if you found a loved one lying unconscious on the floor? Would you be able to recognize a choking victim and be able to help? Learn to save a life by enrolling in workplace and academic approved CPR courses in Surrey with Vancouver First Aid Ltd. Training classrooms are located in Surrey Newton and Whalley with courses available multiple times per week. Certification provided through this supplier is valid throughout Canada for 3 years and meets a number of provincial and federal requirements. Standards and techniques meet the requirements of the International Liaison Committee on Resuscitation (ILCOR) and the American Heart Association. A number of different first aid and / or CPR courses are available for participants. 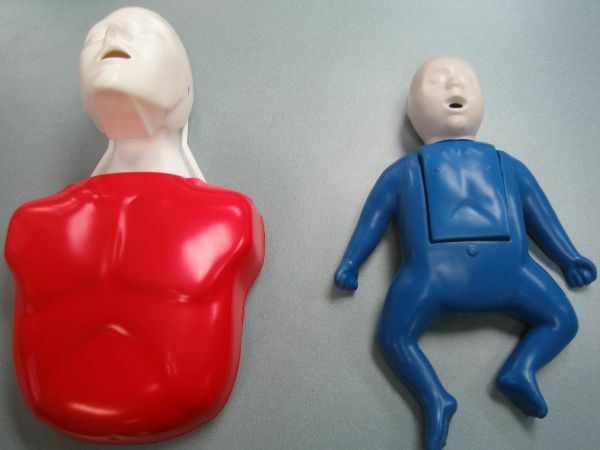 You can visit this Surrey providers website for more details on CPR certification or training. How to Register for a CPR Course in Surrey? Staff are available from 8 am to 6 pm to help with registration, private bookings and questions. Several CPR training centres are located throughout the Lower Mainland with the most popular classroom located in Surrey Newton. This location offers courses from 9 am to 5pm everyday. The address of this location is: 7238 137 St Surrey, BC V3W 1A4. Check out the map below for more information and directions about this location. Individuals enrolled in health care provider CPR will learn how to use bag-valve masks and trained assistance. Be preprepared for major medical emergencies by enrolling in a course today. This provider is known for its low prices. The following is a breakdown of CPR course cost in Surrey. All prices include a take-home training manual, certificate and all applicable taxes. Yes, this provider proudly offers private first aid and / or CPR and AED programs in Surrey and throughout the Lower Mainland. Group rates are available. To book a private course with this provider use the contact information provided above. Where Do the CPR Guidelines Come From? CPR training guidelines are provided from the ILCOR CPR consensus of 2012. These techniques are also employed by the American Heart Association. Bedsores are common in bedridden patients who are not turned frequently. Because of prolonged pressure, tissues of areas on the back (especially the sacral area) start to die, creating an ulcer. Bedsores are very easy to prevent with turning as much as frequently as every 2 hours. Once bedsores are created on the skin, they are very hard to manage and prevent from becoming worse, especially in preventing infection.